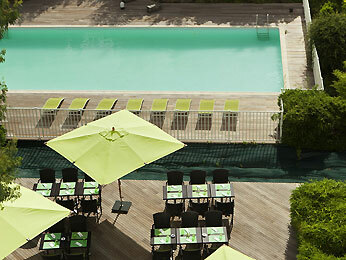 The Novotel Paris Orly Rungis hotel welcomes you opposite the world’s largest professional market. Explore this hive of activity with your family. Within easy reach of Orly Airport, 11 conference rooms are available to make your seminar or business meeting a success. Fancy a spot of shopping? Explore the 220 shops in the Belle Épine mall. Whether you are looking for a relaxing weekend away or a week exploring Paris, you’ll find your perfect getaway at Novotel.